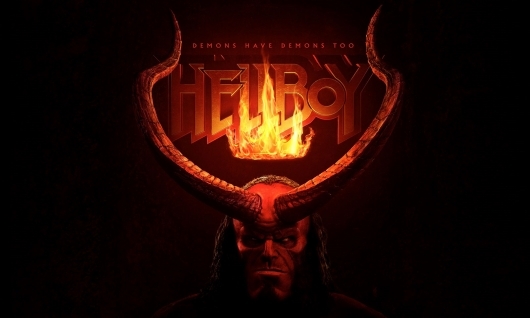 Directed by Neil Marshall (The Descent), there is a stark difference when we are comparing his Hellboy to del Toro’s. For one thing, there is a lot more action in it than the originals. I mean a lot more. Like, a lot a lot more. Of course, del Toro’s adaptations had their fair share of it, but I’d like to think the filmmaker traded in all of that for more detailed creature and world designs. The set pieces were amazing and the creatures were a delight. And very practical for that matter. But there is something about this that isn’t just clicking for me. I fear that they preferred to have it be a lot more style over substance. And I hope I am wrong. Written by Andrew Cosby, based on the Mike Mignola comics of the same name, Hellboy draws inspiration from “Darkness Calls,” The Wild Hunt, and The Storm and the Fury. Milla Jovovich, Ian McShane, Sasha Lane, Daniel Dae Kim, and Thomas Haden Church also star in the film.